Welcome back to my new and improved blog! I have been working on this new design for some time now and I couldn't be more thrilled to finally have it revealed! I'm in love with the new look and hopefully you are too! Now on to the post! I recently went to Ulta (aka my second home) and picked up the new Real Techniques Everyday Essentials Brush Set. This set is of their most popular brushes in beautiful new pink and purple packaging. I really needed new makeup brushes and I constantly hear people rave about Real Techniques brushes so I decided to give them a try. Now that I have tried them I can completely see the hype. They are some of softest brushes. They feel like a dream when you apply them to your face. 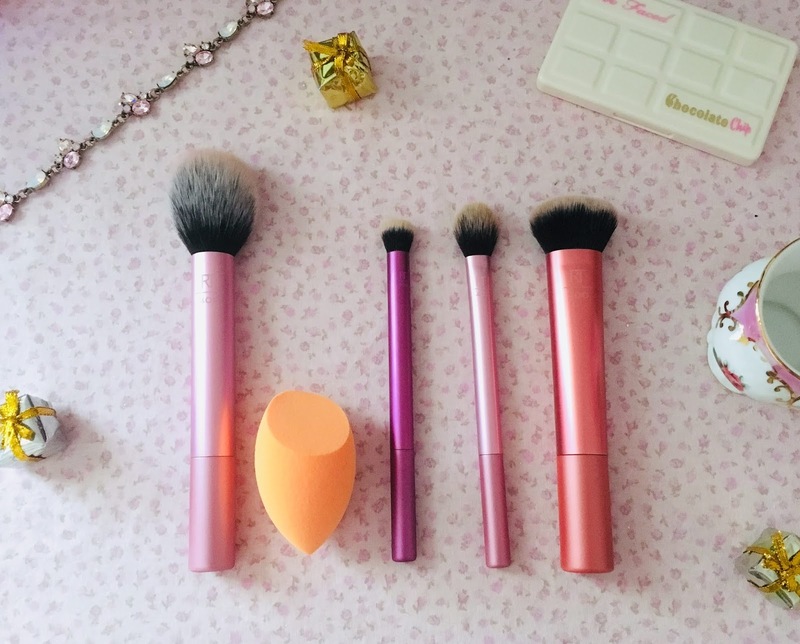 They also blend products out so perfectly especially the face brushes. 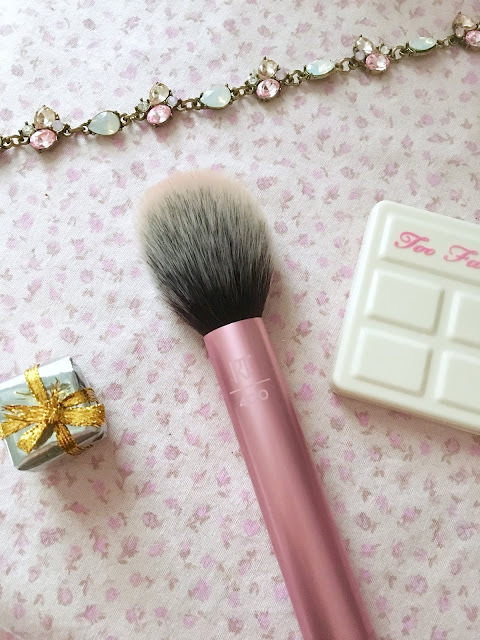 The first brush in this set is the RT 400 blush brush. It has very tapered, soft bristles. 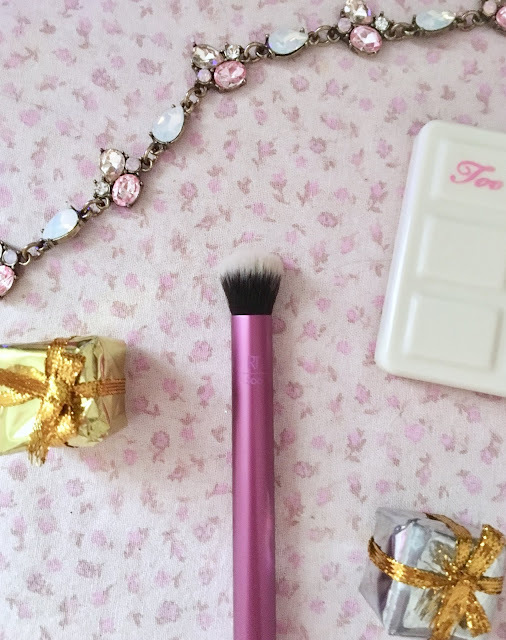 This brush is supposed to be for blush which is what I use it for but you also could use this for powder because of how big of a surface area it can cover and because of how fluffy it is. This is an amazing brush because it disperses the product without it being patchy or too pigmented. It picks up just the right amount of product. This set also includes the RT Miracle Complexion Sponge. I love the shape of this sponge it has a pointy side and it has a flat side. So depending where/what you need to blend you can determine what side to use. I use this for blending my cream and face products such as foundation, concealer, powder, etc. I recommend using it damp because when the sponge absorbs the water it expands so it's easier to blend products in. This is the RT 300 Deluxe Crease Brush. The bristles are very short and dense so you can apply and layer eyeshadows. 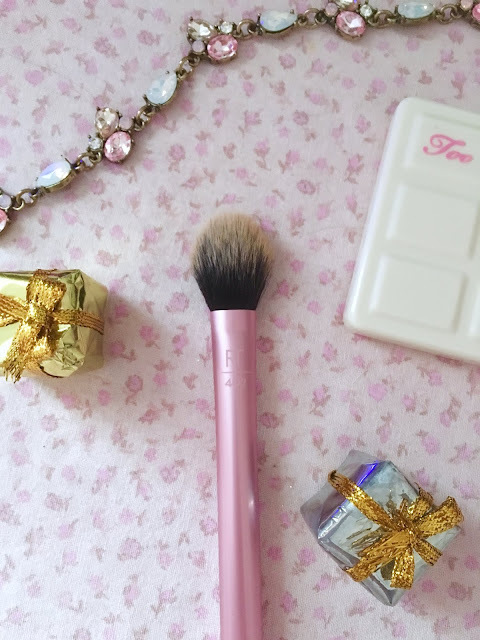 This brush can also be used for concealer but I prefer using a sponge or larger brush for that. I use this brush as a shadow crease brush like the name implies. It's such a large and fluffy crease brush so it's amazing when you want to apply darker shadows. It bends them in until they look absolutely flawless. I love using this brush all over the eyelid too for just a hint of color when I don't want a full glam eye look. 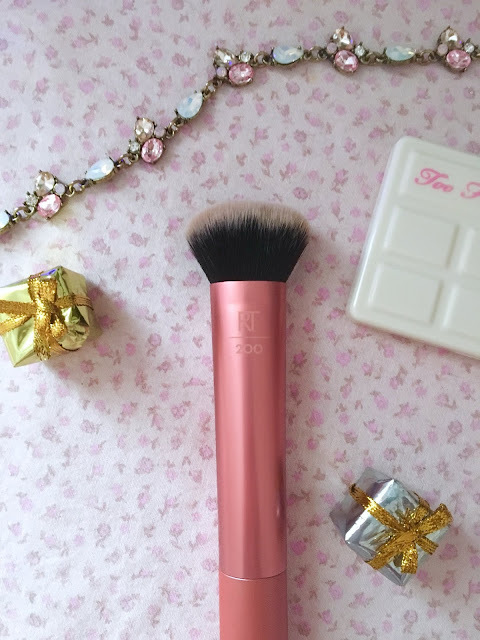 The next brush is RT 402 Setting Brush which can be used for setting powders and highlighting. This is my absolute favorite brush in the entire set. I use this brush to do my highlighter and every time I apply my highlighter it looks so gorgeous. It applies the product perfectly because of the shape. 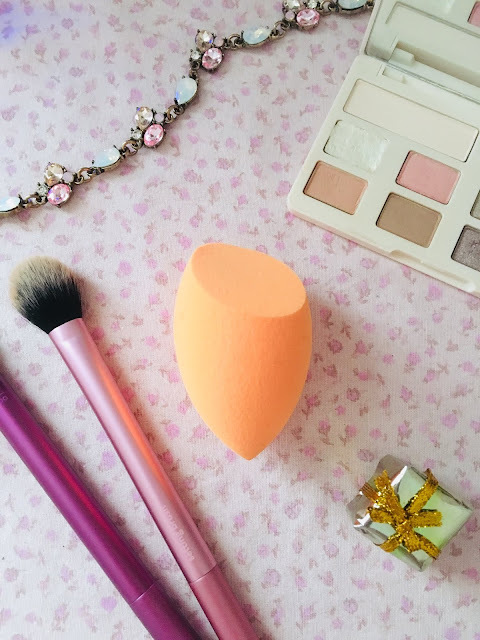 It hugs the cheekbone just right so it really gets the high points of your face and illuminates it. I'm just so in love with this brush; it's wonderful! If you're thinking of getting just one brush from Real Techniques I completely recommend this one! The last brush in this set is the RT 200 Expert Face Brush. This brush is for applying foundation and creamy/ liquidy face products. I use thus brush for contouring. It's amazing at carving out the hollows of my face and giving it more of a 3D and shadowy appearance which is what contour is for. It blends out the contour until there are no more obvious, harsh lines. It makes my contour look natural but still is effective. Thank you so much for reading. I've missed posting this past month while I was working on my blog. Please let me know what you think of the new design. Also let me know your thoughts on RT brushes, have you ever tried them? My thought exactly! Thanks for reading Ashley! I hear so many great things about real technique brushes! They look amazing.